Villa Levi is without a doubt one of the best villas we have stayed in – and we have stayed in a few! Everything is so very comfortable and the bathroom in the master suite is beyond description… but we’ll try. Open to the jungly riverside and brimming with plants, decorative stones and boulders, if it only had a bed, a snack bar and a drinks fridge we’d move in. And don’t get us started on the open-air jacuzzi! All the furniture in the villa has been sourced for its originality, or custom made. The beds are inlaid with shards of seashell, the oversized chairs and sofas are made from what look like recycled railway sleepers, and the long, single-slab dining table is attended by very comfortable and wide seats. This is probably why, when we weren’t swimming or sleeping, we spent so much time here – well, that and the proximity to the drinks fridge and designer kitchen. 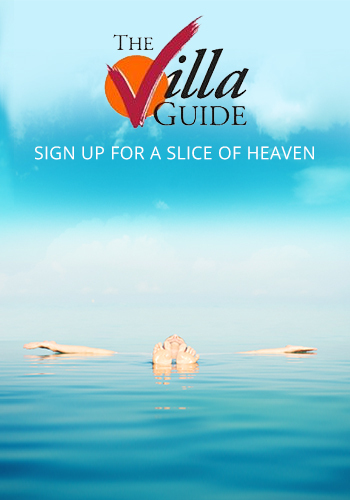 All in all, Villa Levi is at the very top end of the Bali villa echelon. For discerning villa aficionados looking for a perfect riverside villa, the search should stop here. Everything is a highlight at Villa Levi, but the standouts would be the master bathroom and its outdoor jacuzzi, the near-perfect layout of the dining and kitchen area, the massively comfortable sun loungers and, perhaps best of all, the delicious solitude. On a more practical note, there are electricity sockets in abundance so you can plug in your laptop or phone just about anywhere. Tucked away down by the river beneath the pool, the TV room/ fourth bedroom lacks natural light, with only a few small skylights along the top of one wall. It’s fine as a TV room, with big with comfy furnishings and a very lovely outdoor deck overlooking the river, but a bit of a short straw as a bedroom. We had a very nice stay! The service is very kind and attentive. We love the house here and we have nothing to complain about. The food was excellent and extremely good surf teacher and team - super friendly. We loved to surf there. Thank you for having us here. We can not thank you enough for the wonderful hospitality and service you have provided us during our 10 day stay. Your attention to detail and friendly manner was always appreciated including your welcoming nature to our guests. We have loved the beautiful Villa Levi and our holiday here. Thank you all! We hope to see you all for another visit again. Thank you for having us Villa Levi. Wonderful hospitality, food and villa. We are leaving fully relaxed. Thank you for making our stay so special. Your generosity and beautiful friendly spirits made us all very happy. I hope we can return to this wonderful place and see you all again. We had a wonderful time at the beautiful Villa Levi. A true tropical paradise. Add to that the most fantastic staff you can imagine. We will come back for sure! Our 3rd time in Villa Levi. We keep coming back because this is an amazing villa, the decoration is perfect, the staff and their manager Agus are just the best we can find. Unforgettable holidays. We miss everything already. Thank you. The Villa Levi was the best place I ever been. The villa is wonderful, the food excellent and a lovely staff. I will come back for sure ? An incredible experience and a holiday to remember. Villa Levi and its staff were wonderful. The location is perfect tucked in between two rivers and down a quiet lane filled with rice paddies. Canggu has a village feel and a great surf break. We will definitely return! The holiday we had at Villa Levi was exceptional. We have travelled extensively and rented several villas around the world for many years. The staff at Villa Levi, under the fantastic management of Agus, were the best we have encountered. Nothing was too much trouble and everything was done with a professional, kind and gracious approach. 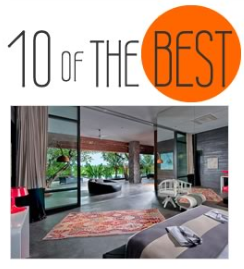 The villa itself is decorated to a high standard with great flair but also incredible comfort. It is private if you want it to be, yet perfect for groups to share. This is perhaps the only villa we have stayed in that we would definitely consider staying in again. Our best holidays to date. 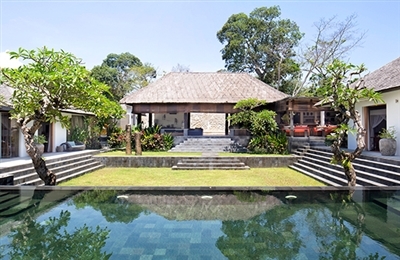 The villa was simply stunning: the design and attention to detail in the decoration was exceptional, the staff managed to be friendly, extremely helpful and yet discrete, the location was perfect: calm, close to the beach and local little restaurants but only 20 mins drive from bustling Seminyak. I highly recommend. We had the most enjoyable stay at this villa. The attention to detail was amazing and it really is a beautiful villa. What stood out was the beautiful garden and out door area, there was an amazing sense of space and it was very tranquil. We will definitely stay here again. based on 12 user reviews. Villa Levi is without a doubt one of the best villas we have stayed in – and we have stayed in a few! Everything is so very comfortable and the bathroom in the master suite is beyond description… but we’ll try. Open to the jungly riverside and brimming with plants, decorative stones and boulders, if it only had a bed, a snack bar and a drinks fridge we’d move in. And don’t get us started on the open-air jacuzzi!